Today our tale is a tragic one, a dark chapter in the story of Britain's nautical heritage. 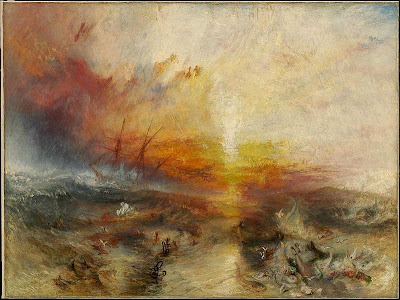 When I sat down to tell the story of the drownings at Nantes I found myself thinking of the Zong massacre, a terrible crime that cost some 142 enslaved African people their lives. Cast into the mid-Atlantic, they were left to drown and when the case finally came to court it wasn't a trial for murder, but a disagreement over insurance. Originally registered to the Dutch, the Zong had been captured by the Royal Navy and by the end of 1781 was sailing out of Liverpool under the ownership of merchant syndicate including men who had made their fortunes in the slave trade. When the deal for ownership of the ship was finalised it was already off the coast of Africa, with 224 slaves imprisoned on board. The Zong was insured for £8000 and captained by Luke Collingwood, a former surgeon with little command experience looking forward to a lucrative retirement. Collingwood was supported by first mate, James Kelsall and a crew of less than 20. Also on board was a passenger, Robert Stubbs, a former governor who had been removed from his post on account of repeated and serious misconduct. As the ship sailed on Collingwood fell ill and effective command of the vessel fell first to Kelsall and then, apparently to Stubbs, when Kelsall was suspended for unknown reasons. The number of slaves on board swelled to over 400, the conditions on the Zong growing more barbaric with each day. The command structure in chaos, a number of poor decisions in November 1781 meant that the hugely overcrowded ship was left without enough food or water and conditions on board grew ever more hellish. When the coast of Jamaica became visible on the horizon, salvation was finally in sight but the crew made a catastrophic navigation error. 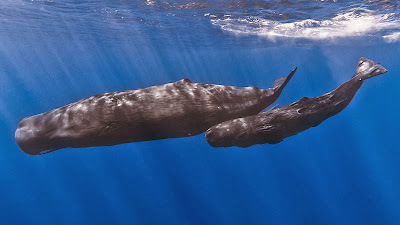 Wrongly believing the land mass was a hostile French colony they turned the ship back into the open sea, sailing over 100 miles before the mistake was noticed. By this point slaves and crew alike were dying from disease or starvation, with no hope of respite. At this point a stark reality became clear to the fevered Collingwood; if the slaves died on land or on board the Zong, he would receive no money for them. However, if they drowned, an insurance claim could be made for each at a value of £30 per person. On 29th November the crew discussed the plan and by the end of the day, over 50 women and children had been chained and thrown into the sea to drown. A few days later more slaves were murdered in the same manner, with 142 cast into the ocean by the time the ship reached Jamaica. Gravely ill, Collingwood would be dead within days or arrival. The owners of the ship made a claim for lost cargo against their insurance and, when it was refused, took the underwriters to court. The case hinged on the matter of whether the slaves were killed to save the rest from dehydration or whether they were murdered simply for the insurance money. With the ship's log conveniently lost, Kelsall spoke out against other witnesses, claiming that the ship was carrying enough water to sustain those on board and that he alone had argued against the massacre. The jury found in favour of the Zong's owners and the insurers were ordered to pay up. They appealed against the ruling and another furious court case ensued. this time though, the witness accounts were so contradictory and the proceedings so muddled that a retrial was ordered. Whether it happened we cannot tell, as the Zong disappears from legal papers at this point. Outraged that the trial should be over money and not murder, abolitionist Granville Sharp attempted to have the crew prosecuted for the massacre. His efforts were rebuffed by the Lord Chief Justice, William Murray, 1st Earl of Mansfield but Sharp's crusade continued and the abolitionist cause gathered speed throughout the century. Although, in the end, nobody was held culpable for the terrible events on board the Zong, the fate of the murdered slaves brought the plight that thousands endured into the public consciousness. It would be many years before the abolitionists finally found their efforts rewarded but those who died during those terrible days at sea are memorialised today at Black River, Jamaica, where there stands a permanent commemoration to the horrors of the Zong massacre. As a some-time visitor to Denmark it is a pleasure to once again bring you a story from that beautiful country. Today we add another queen to our collection, this one a lady with a certain eye for jewellery and no patience for mothers-in-law. Sophie Magdalene entered the world in style, born to Christian Heinrich of Brandenburg-Bayreuth-Kulmbach and Countess Sophie Christiane of Wolfstein at Castle Schonberg. 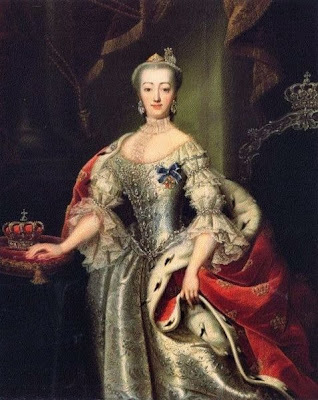 Educated in the ways of a young lady, Sophie Magdalene was dispatched to Poland to serve as lady-in-waiting to Queen Christiane Eberhardine of Brandenburg-Bayreuth. She was serving in this role when Christian, Crown Prince of Denmark and future Christian VI of Denmark and Norway, arrived at the court to continue his search for a suitable bride. 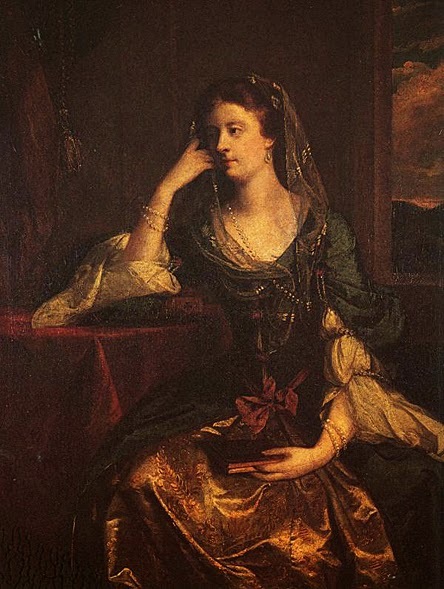 The highly religious, prudent and discrete Sophie Magdalene attracted the eye of the Crown Prince despite her lower rank and the couple were married on 7th August 1721, eventually having two children. The couple lived in quiet seclusion, having little interest in matters of society even as they surrounded themselves with opulence. However, they were deeply opposed to the remarriage of Christian's father, Frederick IV, to his second wife, Anne Sophie. 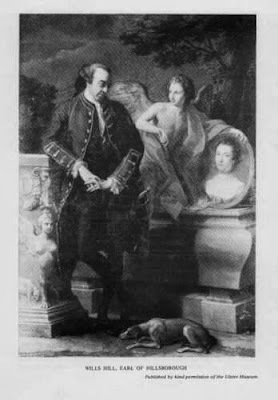 Frederick had originally committed bigamy by marrying Anne Sophie whilst his first wife was still living, eventually marrying her a second time once he was widowed. When the king died in 1730, the newly crowned Christian and Sophia Magdalene took immediate action to remove Anne Sophie from any influence. The late king's will was contested and reversed, leaving the new widow with little money and she was removed from Copenhagen and send back to the Klausholm, the country retreat of her birth. Here she would spend the rest of her days as a virtual recluse. 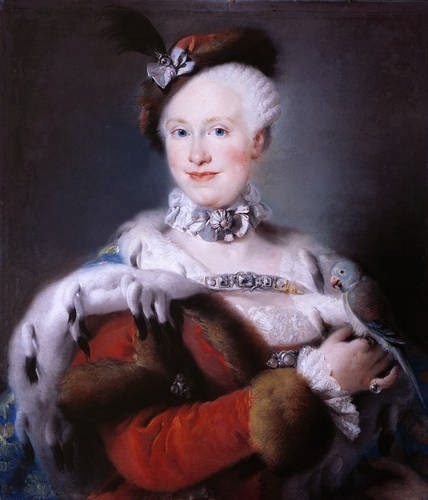 Sophie Magdalene never learned to speak Danish even as queen of the nation and exerted a great influence over her husband. Both king and queen practised pietism and their court was insular yet luxurious and dominated by pomp and ceremony, with Sophie Magdalene serving as her husband's adviser and confidante. However, the new queen flatly refused to wear the crown that her step mother-in-law had once sported and instead commissioned a new crown, adding items from her private belongings to create a collection of crown jewels. The couple also commissioned luxurious new palaces, ruling as absolute monarchs in a court that could be joyless and cold. Sophie Magdalene believed that both men and women should live respectable lives and in 1732 founded the order Ordre de l'Union Parfaite, an honour to be bestowed on couples who enjoyed happy and fruitful marriages. 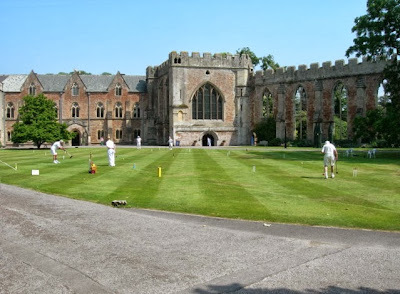 For those noblewomen who were single she established a convent wher they could live out their days in piece and piety. 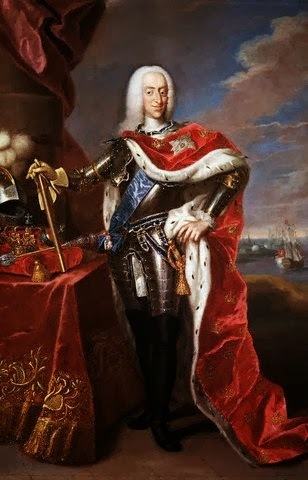 Christian died in 1746 just one day before his 25th wedding anniversary and his son, Frederick V, succeeded him on the throne. The Queen Dowager moved into Hirschholm Palace and continued to influence policy and court. 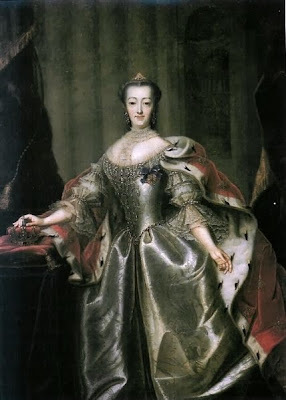 As her health declined she withdrew somewhat from public life and eventually died in Christiansborg Palace, to be interred in Roskilde Cathedral beside her late husband. We've spent a lot of time with monarchs and Emperors, actresses and artists, yet it occurs to me that we have yet to make the acquaintance of many engineers. Today we'll put that right with the story of a Scottish gentleman who developed new techniques in road building, his influence still felt in modern times. 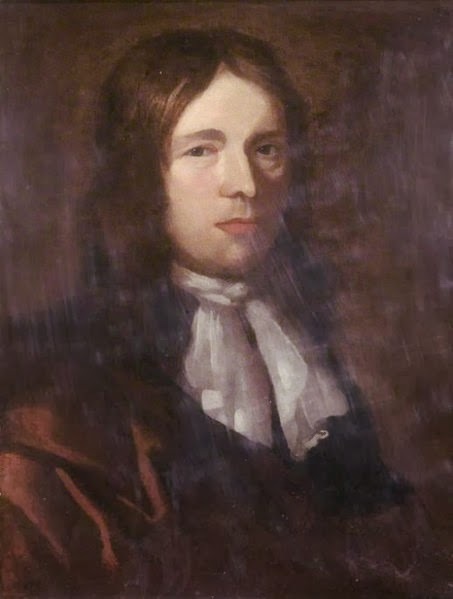 John McAdam was the son of Susan Cochrane and James McAdam, Baron of Waterhead, and as a child was educated at his local parish school, proving himself to be an intelligent, dedicated student. When he was just 14 his father died and the young man was sent to New York to live with his uncle. There he made his fortune as a merchant and financial wizard; he returned to Scotland as a man of means in 1783, becoming deeply immersed in local affairs and politics around his Ayrshire home. He developed new business interests upon his return, having a controlling interest in the Kairns Colliery and other industrial concerns. Not content with this, he acted as a magistrate and assumed other civic roles including one as as trustee of the Ayrshire Turnpike in 1783. In fact, McAdam found his position as a trustee fascinating and he developed a deep and abiding interest in road construction and engineering, eventually becoming general surveyor for the Bristol Corporation in 1804. As the years went on he wrote papers on the subject and developed research that showed the benefits of raising roads and making them from layers of stone and gravel, as well as ensuring that drainage was a priority. 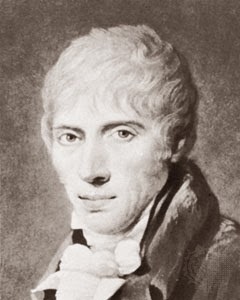 Although he put his theories forward on numerous occasions no roads were developed in this way until McAdam was charged with remaking the Bristol Turnpike in 1816. Finally he was able to put his theories into practice, demonstrating the benefits of macadamisation, better known today as macadam. He received £5000 for this work, later cut to £2000 and his work made him numerous enemies on the Turnpike Trusts, who preferred to keep the money made from tolls rather than ploughing it back into road improvements. Macadam caught on quickly and was soon in widespread international use; McAdam was offered and refused a knighthood two years prior to his death, an honour that one of his sons would later accept. McAdam lived to the age of 80 and died whilst travelling from his summer home in Scotland to his house in Hertfordshire. From his two marriages he had three sons and four grandsons, all of whom enjoyed successful careers in the road and turnpike business; not a bad legacy for the man behind macadam! As the nights draw in and winter is upon us, my thoughts turn to matters of weather. From my window I can see the bonfires of Covent Garden and with the shutters drawn tight one can hear the hurrying footsteps of those looking for shelter from the cold, yet this is nothing compared to the cataclysmic weather conditions that struck Britain in November 1703. A little breeze is one thing but the Great Storm of 1703 was catastrophic; thousands died from pauper to bishop and the damage was immense. Southern England has seen nothing like it since and we hope never will again. The storm came in from the English Channel and made landfall on 24th November, hitting the densely-populated capital in the following days and and raging across the country into the first week of December. As the hurricane-force winds swept across London the people fled the streets in terror, seeking shelter from chimneys and roof leading as it crashed down to earth. The queen herself was forced to take refuge in the cellars of St James's Palace as the chimneys shook and crumbled and in Wells, Bishop Richard Kidder and his wife were crushed in their bed at the palace by falling chimney stacks. Britons regarded the ferocity of the weather with disbelief, believing it to be a physical manifestation of the wrath of God, the Almighty punishing a nation for its sins. 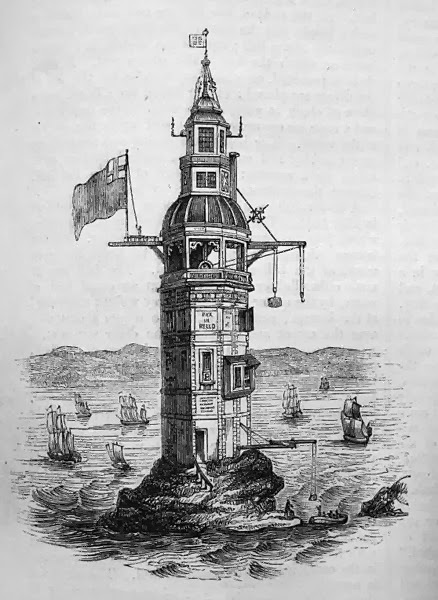 As you can read elsewhere on the site, the Eddystone Lighthouse was completely destroyed and numerous ships were sunk in the calamity, resulting in the loss of thousands of lives. In fact, many vessels were returning from the War of Spanish Succession and they sailed straight into the storm to be capsized and smashed into matchwood, their crews lost. On land people were crushed beneath masonry and thousands of trees fell to the furious gales, whilst still more humans and cattle too were drowned when rivers swelled and burst their banks, sweeping raging waters across low-lying lands. Daniel Defoe witnessed the hurricane from his home in London and it inspired him to write The Storm in 1704, chronicling his experiences and the tragedy the gales had wrought. The government declared a day of national fasting to honour the dead and atone for the sins of the nation and slowly, surely, England began to count the vast cost of the Great Storm. We've met a few famed actresses and after yesterday's tale of one of Ireland's brightest leading ladies, it seemed only right to welcome an actor the salon. I adore a night at the theatre and, of course, a dashing chap, so it is a true joy to introduce the tall, talented and rather easy on the eye Spranger Barry, who was a far better thespian than he was silversmith. Barry was born in Dublin was the son of a William Barry, a silversmith. At first the young man went into this business with the aim of following his father's trade. Though he nursed dreams of the theatre he laboured to learn the silversmith's craft until 1744 when he took his first acting role at the Theatre Royal in Dublin. Attractive, commanding and with a natural talent, Barry made an immediate mark on the theatre world and left behind his old life forever. Within two years he was performing Shakespeare at the Theatre Royal in London's Drury Lane and became a rival to the legendary David Garrick, sharing leading roles with the great actor. Their rivalry resulted in Barry leaving Drury Lane to join the company at Covent Garden and when the two men finally went head to head in opposing productions of Romeo and Juliet, Barry was declared the resounding winner. Buoyed by plaudits Barry returned to his native city to open the Crow Street Theatre and later a second theatre in Cork. Although his theatres were popular and successful Barry had a taste for the highlife and spent money as fast as he earned it. However, it was at Crow Street that he met widowed Ann Street, who performed under her married name of Mrs Dancer and was considered by some as a rival to the great Mrs Siddons. Barry and Ann embarked on a romance and when he returned to London to resume his acting career in 1767, she went with him; the couple were married the following year and had one son, also named Spranger. 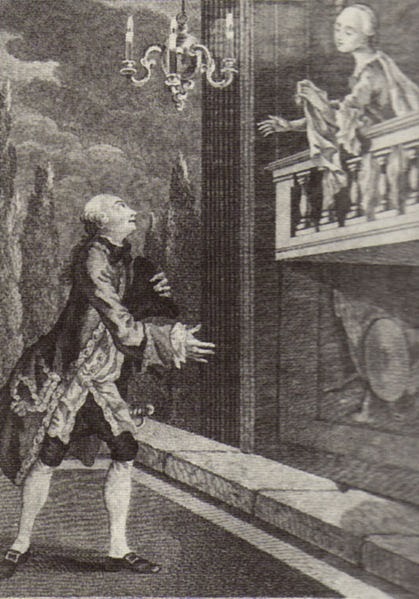 Barry eventually ended up back at the Covent Garden Theatre under the management of his one-time rival, David Garrick, and remained there as a member of the company until his death, notably performing his celebrated Othello. Although Ann pleaded with Garrick to write the epitaph for her late husband the actor refused and Barry was buried amid much ceremony and grieving in Westminster Abbey. Ann eventually remarried and when she died in 1801, she was interred beside Barry in the Abbey, reunited once more. As a theatre lover it is always a joy to welcome a member of the acting profession to the salon and today we are joined by a most notorious lady. 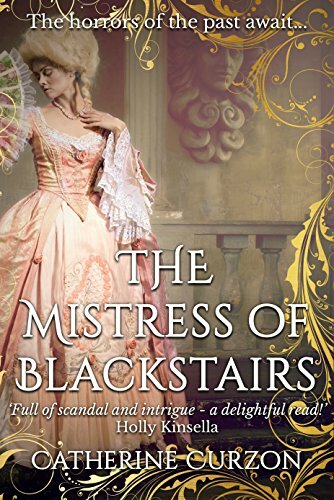 Celebrated beauty, actress and mistress of the Duke of Clarence, it is a pleasure to tell the scandalous story of Dorothea Jordan. 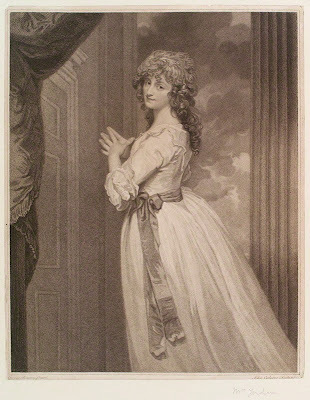 Dorothea was born in Ireland to stagehand Francis Bland and his mistress, actress Grace Phillips. When his daughter was only 13, another actress caught Bland's eye and he left his mistress and five children behind to marry his newest fancy. With the family plunged into poverty despite Bland's occasional small payments, Dorothea joined her mother on stage, hoping to raise some money to support her siblings. In fact, Dorothea did more than raise enough to feed her family; she had a natural and prodigious talent that saw her become one of the most popular comic actresses on the Irish stage, particularly renowned for the breeches roles that showed off her celebrated legs. Aged 20 she found herself coerced into an affair with Richard Daly, the married manager of the Theatre Royal, Cork, to whom she owed money. When her daughter, Frances, was born in 1782, Dorothea, along with her mother and the infant, fled Ireland for England and a new start. Here Dorothea took the name Mrs Jordan to suggest respectability and embarked first on an affair with Lieutenant Charles Doyne and then with Tate Wilkinson, a Leeds-based acting company manager. Whilst still involved with Wilkinson Dorothea fell in love with George Inchbald, the company's leading man and though she was devoted to him throughout their affair, Inchbald was reluctant to commit. 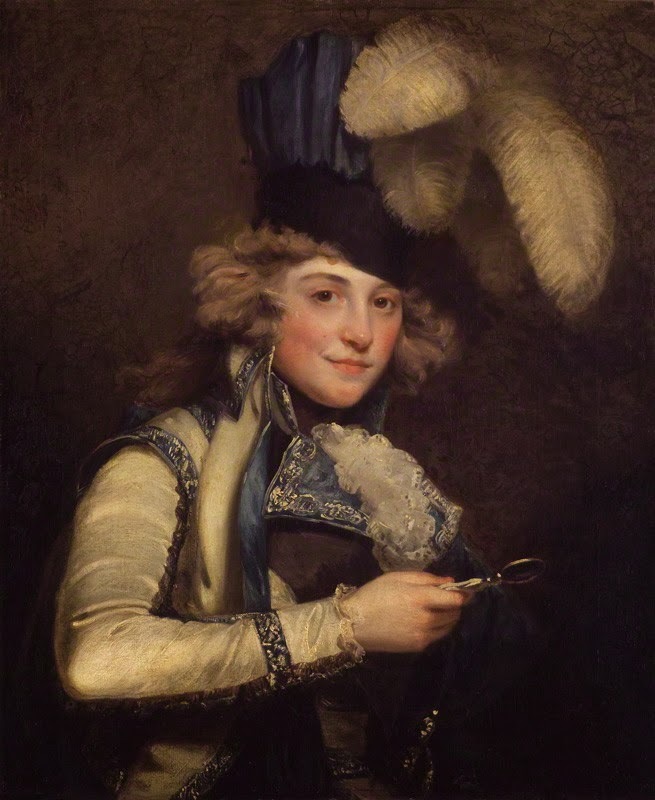 Finally, in 1786 she left Inchbald behind for the apparent security offered by magistrate, Sir Richard Ford. By now one of the brightest stars on the London comedy stage, Dorothea revelled in her new found fame and longed to be Ford's wife. 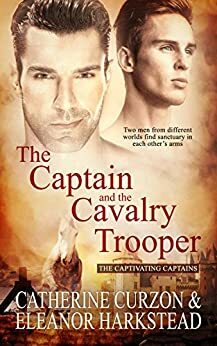 He promised her marriage and respectability yet by the time the couple's third child was born it had become apparent that the wedding was destined never to happen and once again, Dorothea moved on. As ever, our leading lady already had her next beau lined up and in 1791 moved into Bushy House with William, Duke of Clarence, and future King William IV. No secret was made of their relationship and the couple enjoyed numerous public engagements together. Dorothea's career continued apace yet she found time to have 10 children with the Duke, all of whom survived childhood and took the surname Fitzclarence. She and William remained together for two decades and when the couple separated, he continued to make a yearly payment to her on condition that she give up her theatrical career to care for their daughters, whilst their sons remained with their father. Dorothea was heartbroken by the end of the relationship and resented William's decision to bow to family pressure to make a good marriage. In fact, in 1814 Dorothea resumed her career to help with family debts and William stopped her stipend with immediate effect, removing the girls from her custody. 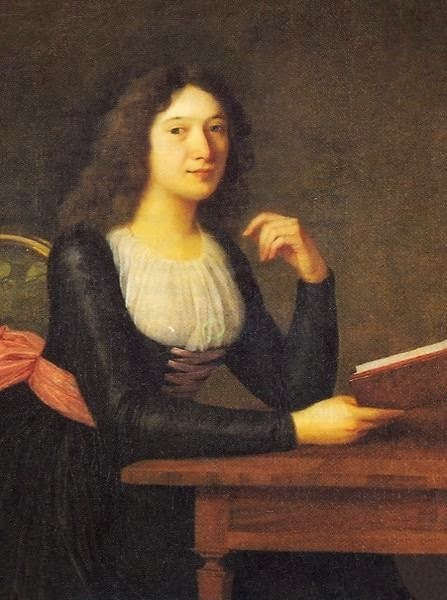 Pursued by her creditors, Dorothea fled to France and lived in poverty until her death. Her descendants today include many noble names and a prime minister - not bad for an illegitimate lass from Waterford! In our time we've jaunted across continents, travelled as far as America and Australia and yet, it struck me recently as I poured my tea, we've seen few figures from the history of Ireland. I'm attempting to slightly redress the balance today but hopefully more will follow and Wales is certainly next, as a couple of my readers will be pleased to know! James Fitzgerald was one of 12 children born to Robert FitzGerald, 19th Earl of Kildare, and Lady Mary, daughter of William O'Brien, 3rd Earl of Inchiquin. 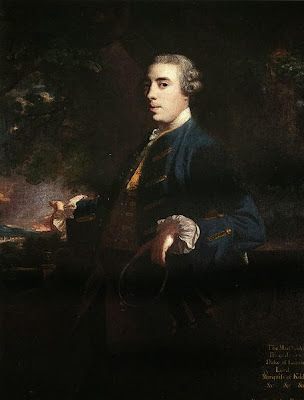 Vastly wealthy, the young man was elected to the Irish House of Commons as Member for Athy in 1741 and sat in the House for three years until the death of his father, when he became 20th Earl of Kildare in 1744, inheriting the oldest peerage in Ireland. This was the first of many illustrious titles, with the future Duke enjoying an enviable run of successes both personal and professional. On 7th February 1747 FitzGerald married Lady Emily Lennox in a lavish ceremony at Richmond House, London. Emily was 15 years old at the time time of the wedding and was the daughter of Charles Lennox, 2nd Duke of Richmond. 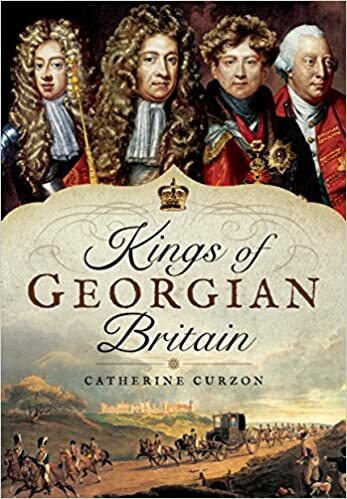 She could trace her lineage back through illegitimacy to King Charles II and the marriage secured her place in the very highest echelons of society. Hot on the heels of his wedding, FitzGerald received the title of Viscount Leinster of Taplow and with it, a seat in the English House of Lords. The couple made their home in Ireland and though FitzGerald was anything but a faithful husband, their marriage was loving and happy. In fact, the union resulted in no less than 19 children, 11 of whom would survive childhood. It may be that FitzGerald was not the only one in the marriage to seek fun elsewhere and one of these many children was supposedly not his at all. Raised as a member of the family, the youngest child in the family was rumoured to be the son of family tutor William Ogilvie, the result of a liaison between himself and Emily. Adding fuel to the fire, within a year of FitzGerald's death his widow would scandalously marry Ogilvie, remaining happily with him until she passed away many years later. FitzGerald's political career continued apace following his marriage and he served as Governor of County Kildare as well as becoming Master-General of the Ordnance. He rose through the military ranks as the years progressed, eventually becoming Lieutenant-General three years prior to his death. In 1766 he further added to his honours when he was made 1st Duke of Leinster, placing him at the very pinnacle of the Irish peerage. For all his success and celebration, FitzGerald's health was not robust in his later years and he died at his Dublin home, Leinster House, aged 51. He was buried amongst much ceremony in Christ Church Cathedral and was succeeded by his son, William, Marquess of Kildare. 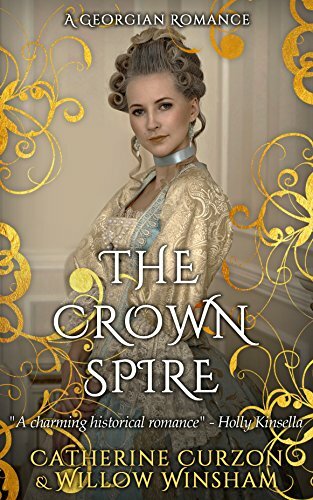 After a weekend of dark tales, today we return to more familiar territory with the life of a noble lady, Queen Wilhelmine of the Netherlands. Born into the House of Hohenzollern, she became Queen of the Netherlands though not a wildly popular lady due to her withdrawn personality. 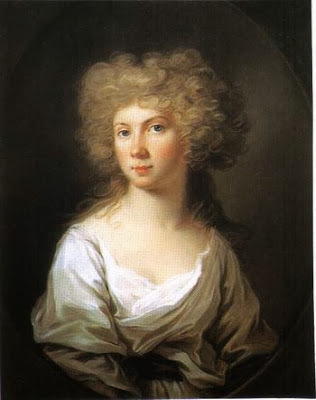 A lover and patron of the arts, Wilhelmine's life was an unsettled one as she and her husband fled the forces of Napoleon. Princess Wilhelmine was destined for a privilege from the moment of her birth as the daughter of King Frederick William II of Prussia and Queen Frederica Louisa. She was brought up by her great-uncle, Frederick the Great, who kept a strictly disciplinarian household. Educated with an eye to making a good match, at the age of 16 a marriage was brokered that would secure a valuable political alliance and Wilhelmine was wed to her cousin, William, Prince of Orange, making their their home at Noordeinde Palace in The Hague. 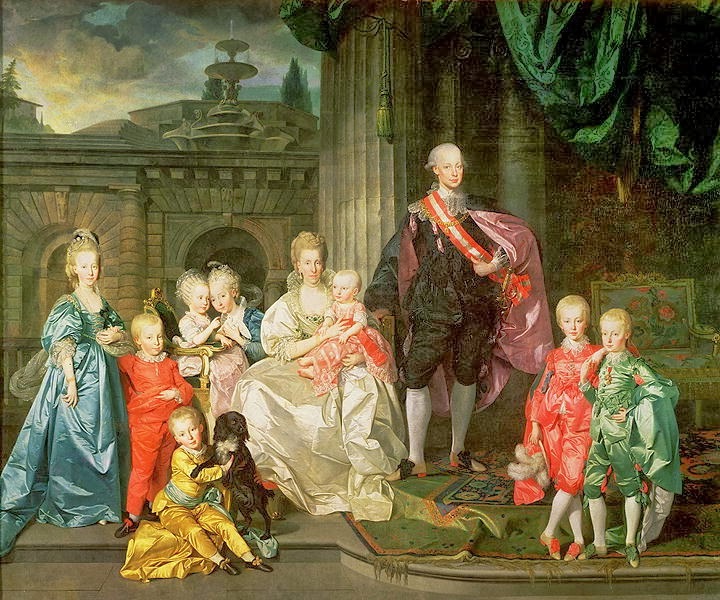 Although their marriage was one of political convenience, Wilhelmine and William fell in love; their partnership produced four children, three of whom survived into adulthood and went on to illustrious marriages of their own. When France invaded the Dutch Republic in 1795 the couple fled the Palace and within the year made a new home for themselves in Berlin. Here they would remain for a decade when they were forced to flee the French again, eventually settling in Poland. 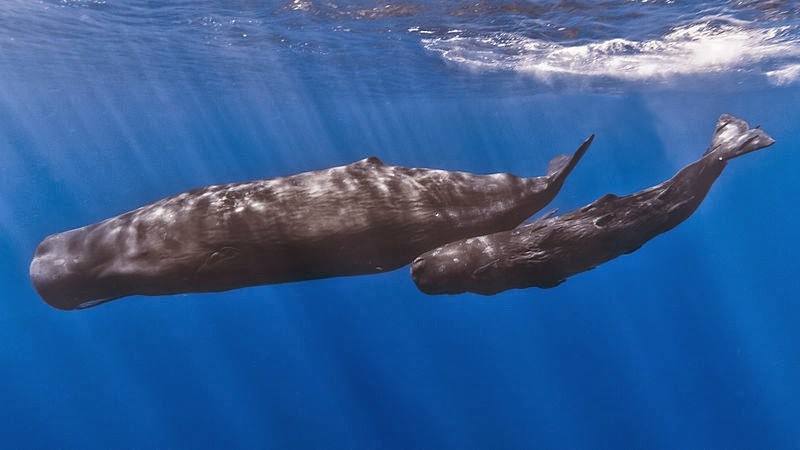 Throughout their roaming and when they fell into reduced financial circumstances, William and Wilhelmine remained devoted to one another and she was to remain her husband's closest and most trusted adviser. 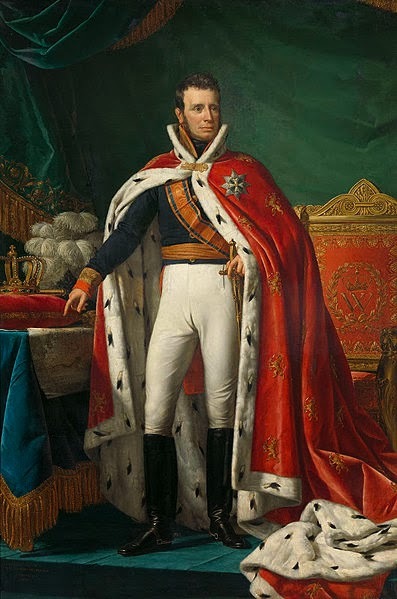 After Napoleon's defeat at Leipzig the family finally returned to the Netherlands, eventually to be named king and queen. Although William was an active and politically involved king, Wilhelmine's naturally unassuming and shy demeanour meant that she rarely appeared in public and this was the cause of some considerable criticism from the people of the Netherlands who saw her as haughty and aloof. In fact, her years as queen were limited by her failing health and the last 20 years of her life were plagued by illness and infirmity. She died in Noordeinde Palace and was buried in the New Church in Delft, William passing away six years later following an abdication and scandalous remarriage. I received a missive of late from a gentleman of the continent who wishes to remain nameless as is his mysterious right. He has enjoyed my posts charting the final days of some historical names and asked whether I might do something similar for Catherine the Great. 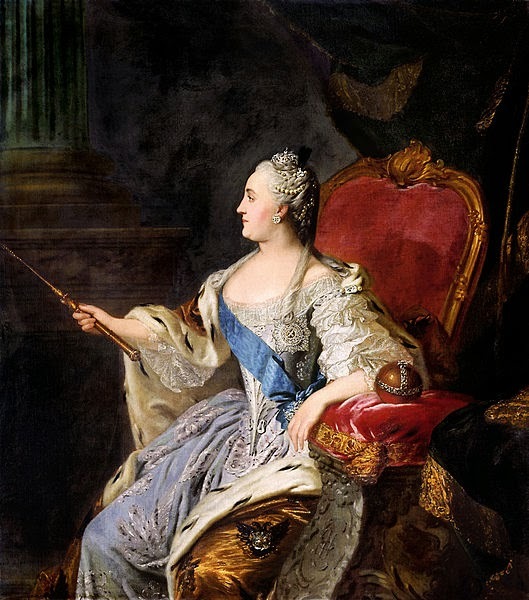 I am always happy to set quill to paper in response to a request so today I present the last days of Catherine II, Empress and Autocrat of all the Russias. 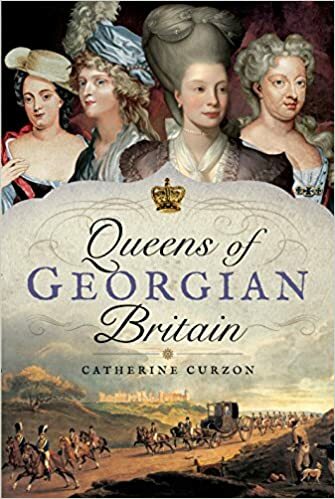 By 1796, Catherine had known a life of immense successes both personal and professional. Powerful, respected and influential, her reign had spanned more than a quarter of a century and her place in history was assured. By now aged 67 her health was beginning to weaken yet she remained a vibrant and committed ruler, as involved in the affairs of state as she ever had been. On 15th November 1796 she retired to bed and slept through the night, rising early as was her routine and settling with her usual cup of coffee. she passed the time of day with her maid, Maria Perekusikhina, even commenting on the excellent night's sleep she had enjoyed! Alone, Catherine went through to her study to begin the business of the day and settled with her correspondence, a regular habit for the Empress. That done, at just after 9.00am she went to her dressing room to perform her toilette and it was here that she suffered a serious and, ultimately, fatal stroke. 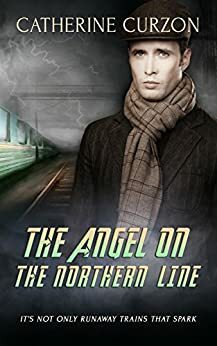 When Catherine did not leave her closet for some time, her chamberlain, Zakhar Zotov, opened the door a little to enquire as to her wellbeing and found her collapsed on the floor. Her pulse and breathing were so weak as to be barely noticeable and her face was tinged purple, the Empress insensible and, within minutes of her discovery, unconscious. At Zotov's instruction, servants were summoned to lift Catherine and carry her to the bedroom, making her as comfortable as they were able. Within the hour Dr John Rogerson arrived and performed an examination that resulted in the diagnosis that she had suffered a stroke. The Scottish physician made fruitless efforts to revive his patient and as the day progressed she slipped from unconsciousness into a coma from which she would never awake, experiencing seizures and spasms throughout. On 17th November the Empress of Russia received the last rites, finally taking her final breath at 9.45pm whilst surrounded by her dearest friends. Catherine the Great was prepared for her magnificent funeral by her closest attendants. She was dressed in silver brocade, her crown placed on her head as befitted an Empress whilst Antonio Rinaldi was summoned to prepare a chamber of mourning. Here she was placed in state on 25th November for a period of official mourning. As the court and people paid their respects, Catherine the Great was laid to rest at the Peter and Paul Cathedral in Saint Petersburg, her reign finally at an end. Today we mark another dark anniversary in the history of France with the story of the first drownings at Nantes (Noyades de Nantes) on 16th November 1793. One of the bleakest episodes of the Terror, the drownings were a method of mass execution used to remove those who did not agree with the revolution or were suspected of sympathising with the royalists. They were also used as a ruthlessly efficient means of executing Catholic priests and nuns and eventually resulted in the loss of approximately 4000 lives. We have already heard tell of the 22 Prairial that Robespierre pushed into existence, a move that was to prove fatally misjudged. The new law was aimed at those suspected of being counter-revolutionaries; with the passing of the 22 Prairial such suspects could be executed without due process. Citizens were appalled not only at what the law allowed but also at what they saw as Robespierre's gross misuse of his powers. The 22 Prairial had been passed without discussion in the Committee of General Security and this only solidified suspicions that Robespierre was out of control, making sweeping and dictatorial decisions without proper consultation. However, the people of Nantes had more to worry about than falling foul of Robespierre. 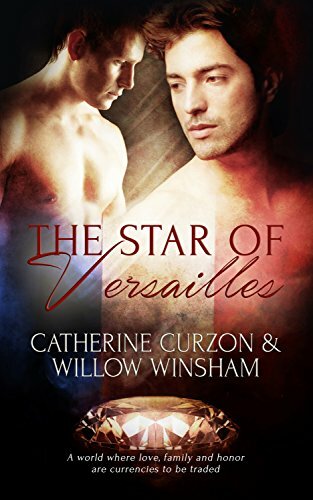 The city was overwhelmed by casualties being brought in from the war in the Vendée and the people lived in constant fear of starvation and disease. Prisoners of war and of the revolution were dying at an alarming rate in prison and the National Convention entrusted the region to the care of Jean-Baptiste Carrier, naming him as republican representative to Nantes. In fact, Carrier took something of a scorched earth approach to the area, declaring that he would leave not one enemy of the revolution alive, a policy that attracted the full support of the Committee of Public Safety. As night fell on 16th November 1793 Carrier requested that almost 200 Catholic priests who were being held on the prison barge, La Gloire, be assembled on the dock. Here a customised barge waited for them and 90 of the priests were bound and herded onto the vessel. With the prisoners packed tight and helpless, the craft was piloted out into the Loire where it was scuppered. All but three of the prisoners on board suffered a terrifying death by drowning and for the trio that tried to swim for safety, respite was short-lived. Picked up by a naval ship that had heard the screams of the dying men, the escapees were soon tracked down and returned to custody to be killed in the second wave of executions on the following evening. This was just the first of a series of executions by that would go on until February 1794 in which men, women and children were drowned without mercy or appeal as Carrier's regime crushed all those seen as resisting the ideals of the Revolution. Judges in the region approved mass lists of names for execution and these terrified unfortunates all perished beneath the dark waters of the Loire. Carrier's soldiers laid waste to large areas of the district in a ceaseless search for the perceived enemies, with a modified barge eventually being engineered that made use of special hatches that allowed the executions to be as efficient as possible. 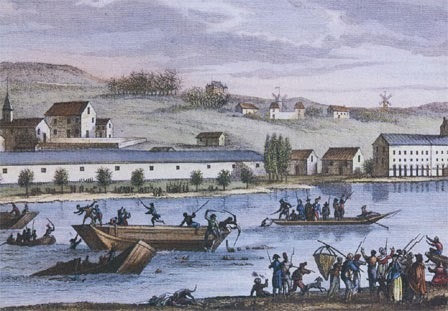 As his reign continued, Carrier found the people of Nantes turning against him. They watched with increasing fear as their neighbours and friends went to their deaths, towns and farms set ablaze in the tireless search for insurgents, with some of those arrested and drowned as young as five years old. 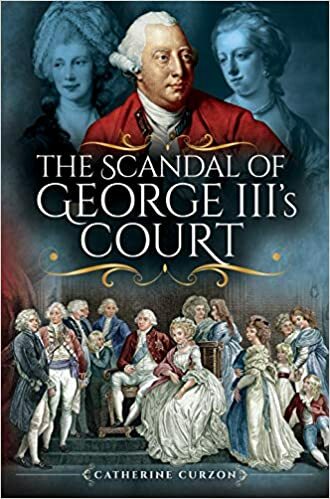 Eventually though Carrier's reign came to a shuddering end when reports of his behaviour were looked at more closely and on 3rd September 1794, Carrier was arrested. He claimed to have no knowledge of the drownings, explaining that his role had been mainly one intended to stabilise the economy and manage the troops. 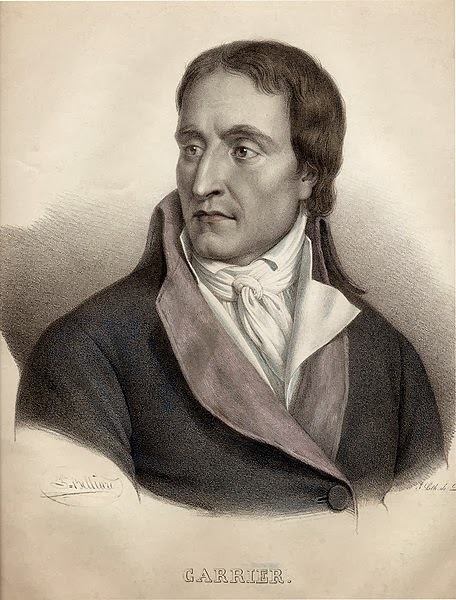 His defence convinced no one and he was executed by guillotine on 16th December 1794. On the anniversary of that first terrible night it is hard to imagine the terror of those who went out on the barge to their death, yet they were the first of thousands to die in the Loire. They were persecuted on account of faith, suspicion and paranoia at the order of a politician who, as so many did, eventually fell victim to his own ambition and cruelty. We've had an artistic time of late and today return to the canvas to meet a man who was artistic royalty, coming from a long line of illustrious, successful painters. Charles-Amédée-Philippe van Loo became known as a painter of portraits and allegories and enjoyed a celebrated career. 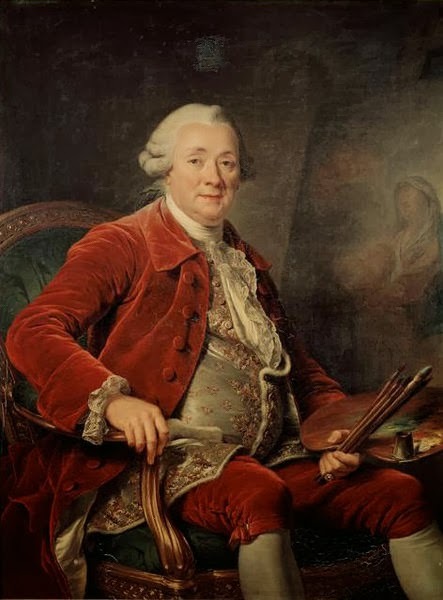 Charles-Amédée-Philippe van Loo was born to the painter Jean-Baptiste van Loo and his wife, Marguerite Le Brun. 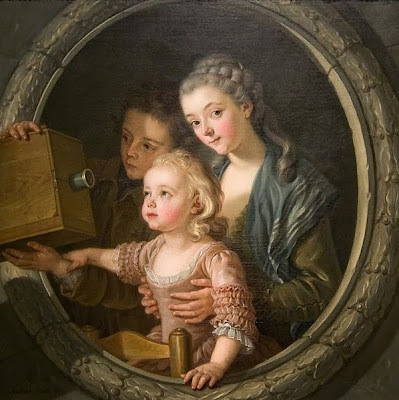 With three generations of artistic blood running in his veins, the young van Loo showed an early aptitude for art and under the tutelage of his father, developed his skills and talent at a startling rate. He focussed on the basics of illustration and anatomy during his early years in Turin before moving on to Rome and more ambitious pieces, developing a particular interest in allegorical works. When he reached the age of 19, van Loo's efforts were rewarded with the prestigious Prix de Rome. 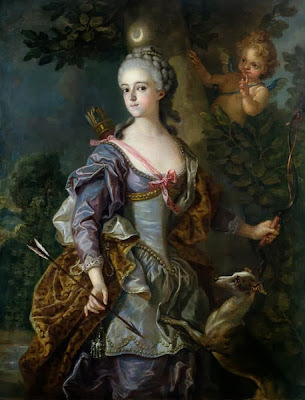 Following this victory he spent some time travelling Italy and eventually arrived in France, joining the Académie Royale de Peinture et de Sculpture in 1747. That same year he married Marie-Marguerite Lebrun, the happiness of his personal life mirrored by professional success. Van Loo enjoyed the patronage of illustrious European figures and in 1770 he was appointed Professor at the Ecole des Beaux-Arts in Paris, a role he held until his death. His works exist in the grandest houses and galleries of Europe, offering a rich window into the world he knew and the people who partonised him.